I had a great time in Shanghai but after few days it was time to say goodbye, assure my friend that I will be fine travelling on my own around China and promise that I will not pick up any bad habits. What could they be? Smoking? Spitting? I was not planning on buying or renting a motorbike so driving on a pavement was definitely not the one. Maybe pushing in front of other people? 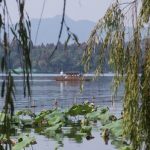 Hangzhou was my next destination. 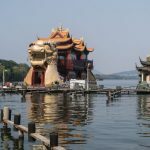 I decided to stop there for two days to visit famous West Lake. 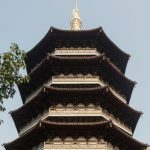 It was also a chance to have a short break from huge cities, especially that smoggy capital of China was awaiting me and I prepared a tight schedule of sightseeing. 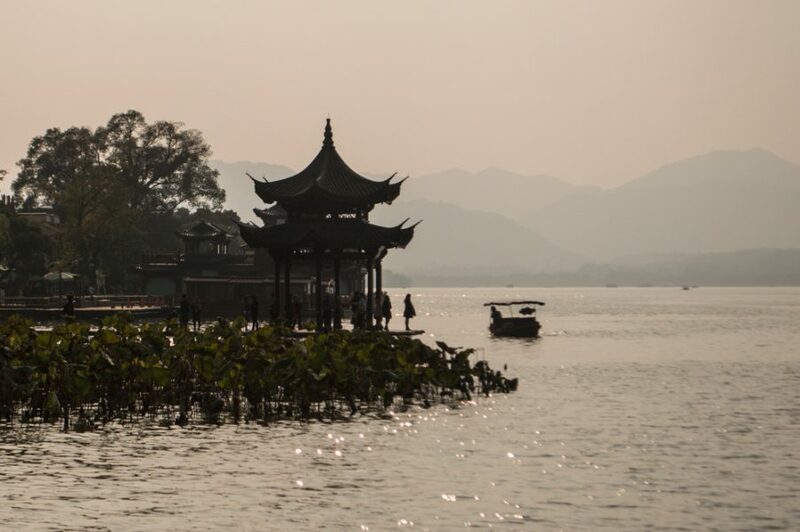 Hangzhou is not too far away from Shanghai. Although in theory this could be a perfect one day trip option I preferred to give myself more time to see it. We are talking about China, nothing is easy, remember? That European way of thinking about getting around places like, “There will be signs!” or “I will ask someone!” might not get you very far. Of course you can be lucky and meet a local who speaks English but it is better to have a map, get detailed directions and allow plenty of time to get lost or at least confused about where you are heading. When I arrived in Hangzhou it looked like I brought that horrible rain with me. The weather was not enjoyable but I still walked around the Qinghefang Ancient Street. I had a peek inside all these small shops curious what they had to offer and I found few interesting things. My favourite was peanut brittle and not so much the actual sweet bar but the process of making it. Watching two guys smashing peanuts into a pulp using big hammers in a middle of a street was a bit of a spectacle. I also tried a rather bizarre lotus root pudding… and I will not be eating it again. Pink, gooey and very weird in taste. 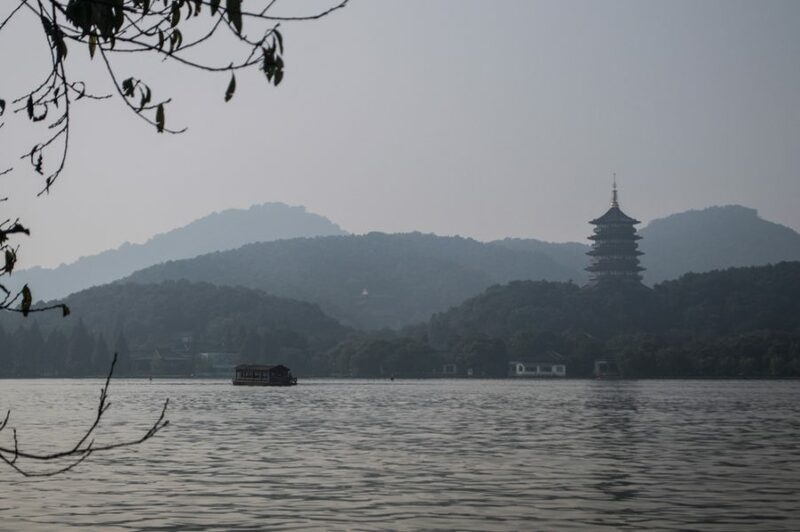 The sun was out the next day so I could make the most of Hangzhou’s natural scenery and spend my time by the West Lake and visit the Liuhe Pagoda. 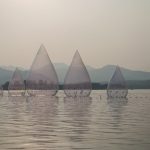 When I was looking at the pavilions, arched bridges and small boats floating around lotus plants I had in mind that postcard-like image of China and was not surprised that this lake inspired so many poets and artists! 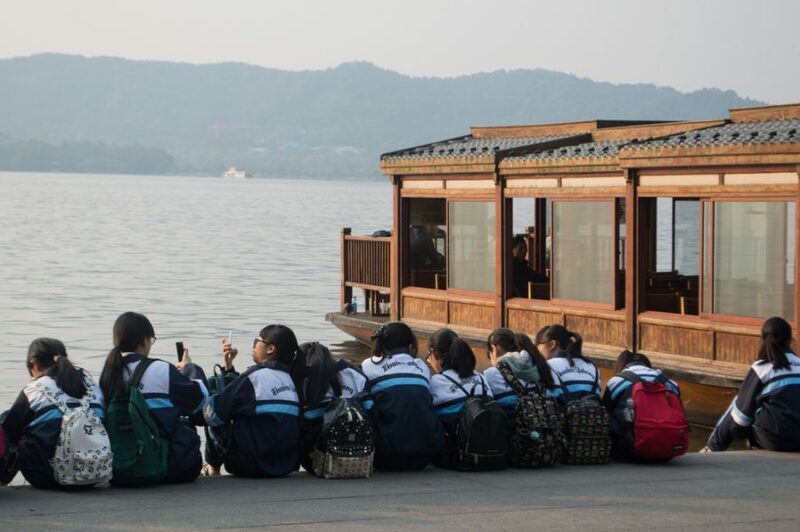 Staying at the Wushanyi International Youth Hostel was great. It was clean with light and bright rooms and common spaces and located just off the Qinghefang Ancient Street. Top marks from me!